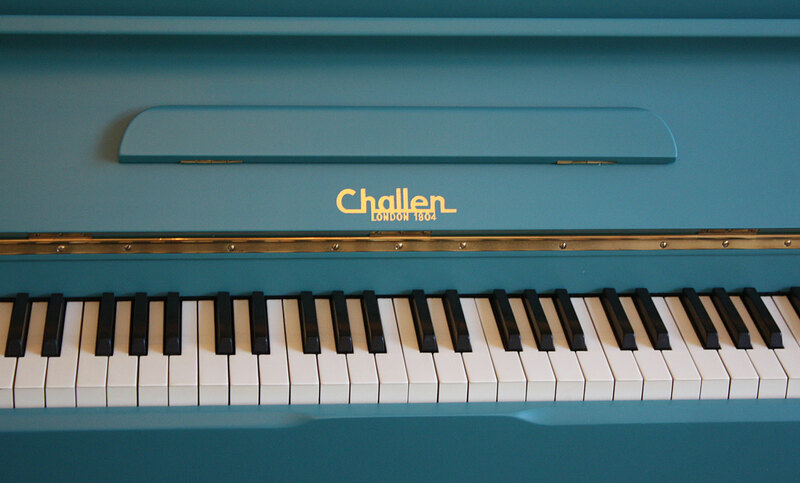 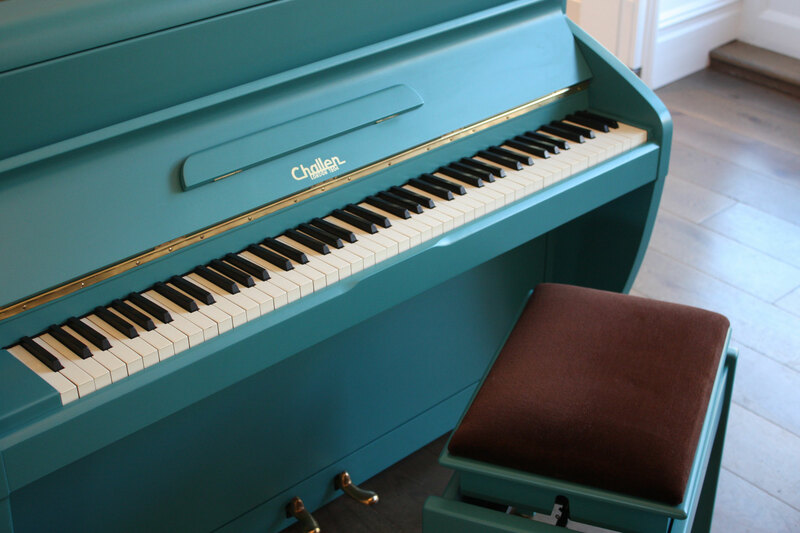 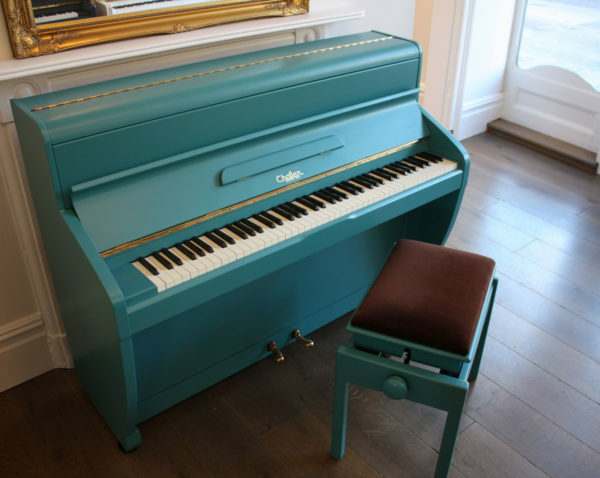 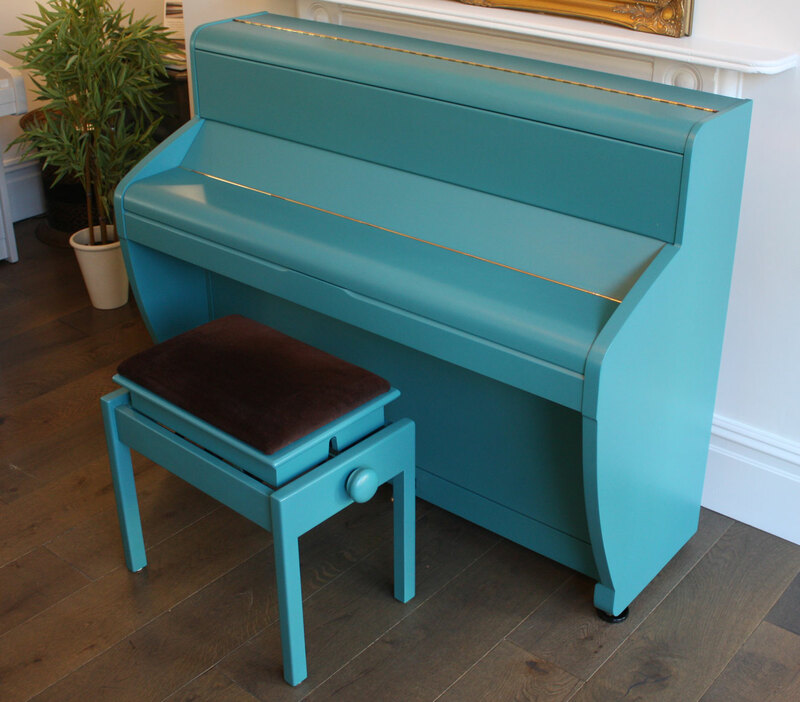 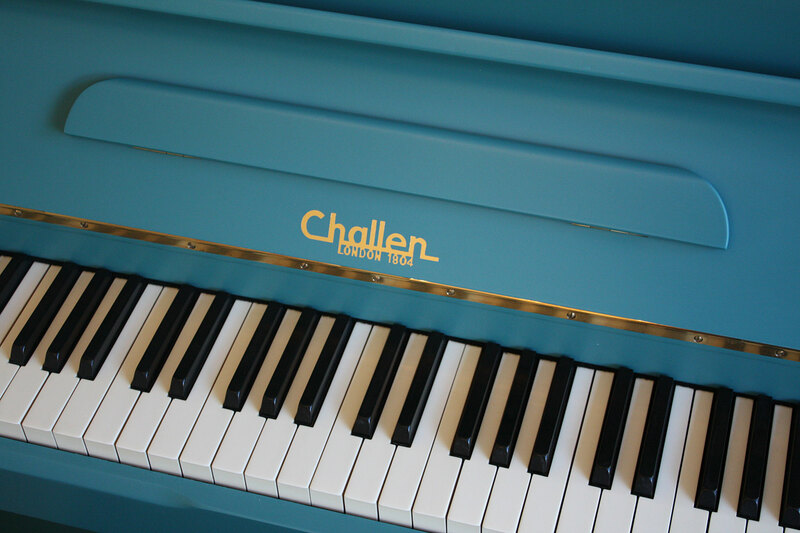 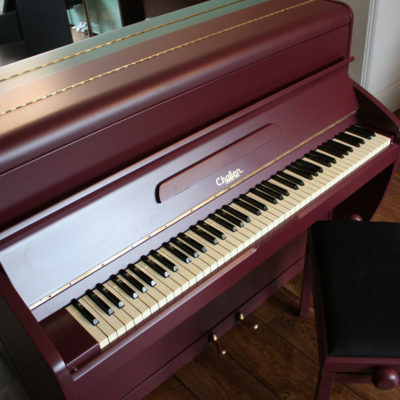 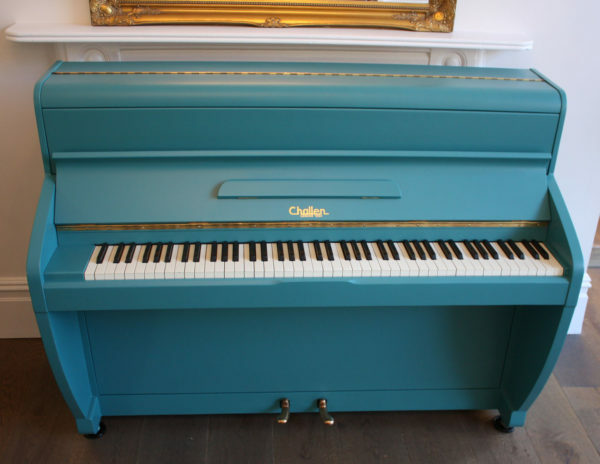 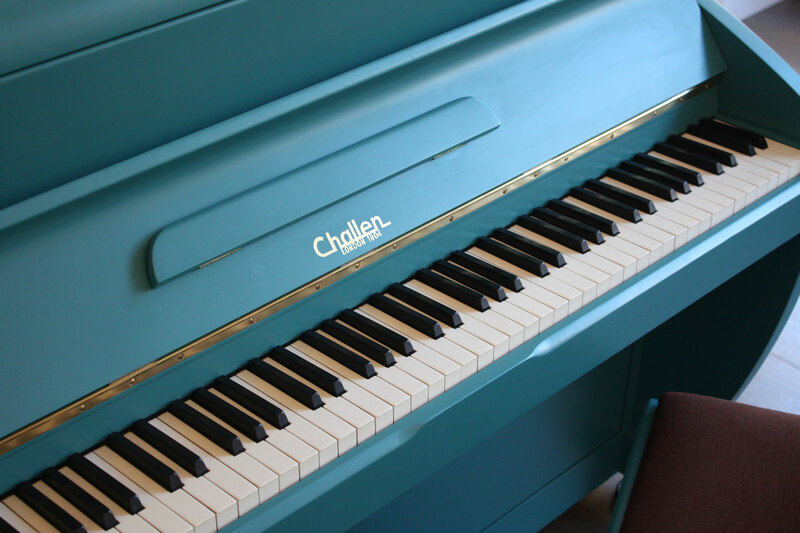 A stylish update to an unusual cabinet design, this Challen piano has been painted in the eye catching colour of ‘Vardo’ which accentuates the beautiful curved cabinet design. 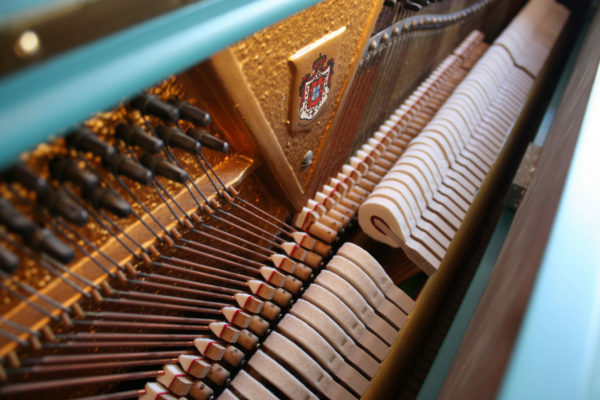 This piano has had extensive work completed on it by our expert technicians, including a complete set of new Renner hammers and dampers. 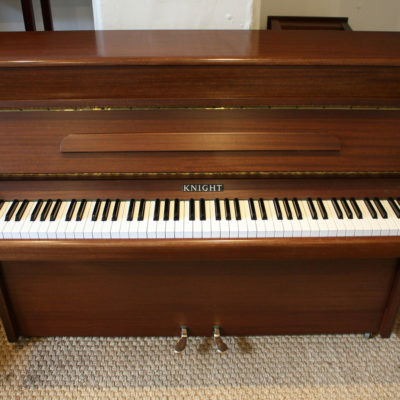 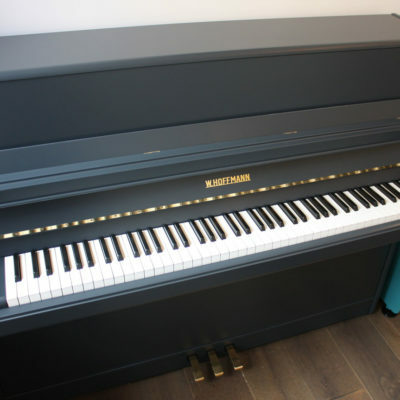 A compact piano with a medium touch and bright tone, this would be a good piano for beginner to intermediate players.